“Doomsday Clock” #2 was the top-selling single-issue comic for the direct market in December 2017. Meanwhile, “Saga,” volume 8, was December’s top-selling trade paperback. For once, DC was the top-selling publisher (by dollar share) this month. Below are December’s top-selling direct market comics, according to Diamond. Here’s the top trade paperbacks and graphic novels, according to Diamond. 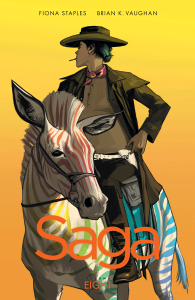 Image’s “Saga” was the top-seller this month, with the publisher also taking two other slots. DC took three slots (led by Batman); Marvel took two slots (led by “Star Wars”); and Dark Horse and Oni Press one each. Publishers Weekly says the top-selling graphic novel for the five-week period ending December 31, 2017 is “Everyone’s a Aliebn When Ur a Aliebn Too.” It’s a book about a lonely alien on Earth learning about friendship, loneliness, and other life lessons from various Earth creatures. 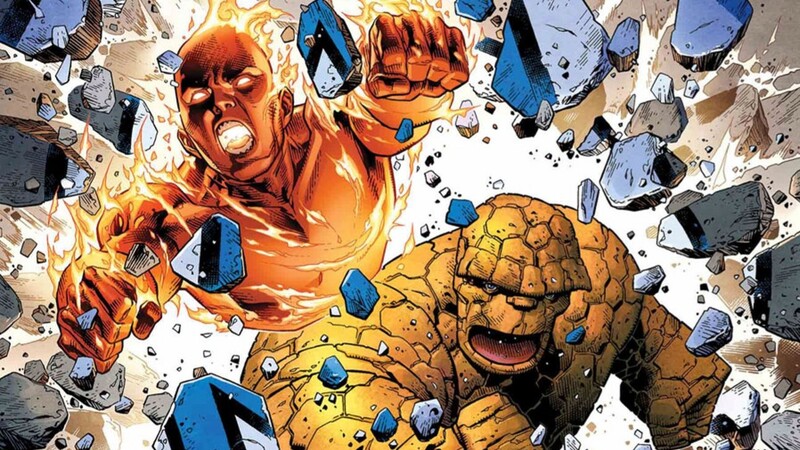 The biggest story of the month is reports by Diamond, Comichron, and others that the year’s total direct market comic/graphic novel sales are down by about 10% (in dollar and units) versus 2016. As far as I can tell, the main blame is on Marvel’s softening sales, as well as DC’s sales not matching the highs of the immediate post-“Rebirth” sales of 2016. Since the Big Two make up two-thirds of direct market comic sales, anything that hurts them hurts the comics market overall. Fortunately, the comics market isn’t just the direct market anymore. Last year, we learned that 2016 comic sales growth came mainly from increased bookstore channel sales of trades/graphic novels. Hopefully, the overall market for 2017 shows similar growth or stability once bookstore channel sales are included.